Let’s PLAY! Kids need unstructured time to have some fun and express themselves! That’s why you’ll see a plethora of activities happening upon arrival at C4R from campers playing their fave sports outside, funky scooter battleship creations inside, jumpers, dancers, speed stackers, hula hoopers and more! 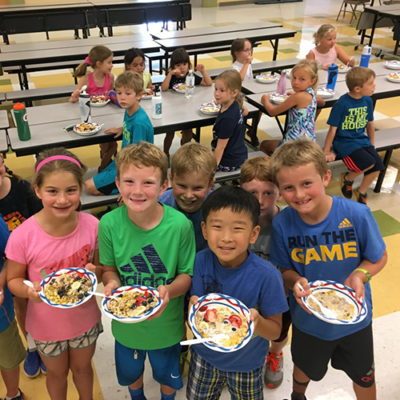 After our campers revel in the free time, we gather everyone together for a brief rundown of the day including what delicious snack and lunch that will be served and then we head to our Camp Buddy activity! 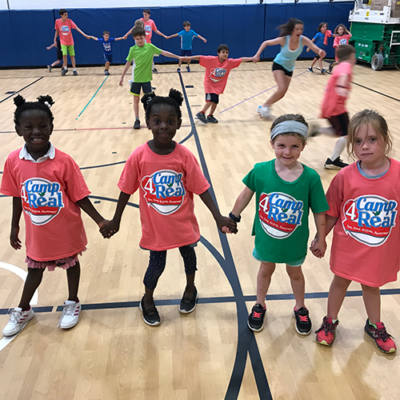 An All-Star (rising 4th-7th grade) is paired with a Rising Star (rising K-3rd) on the first day of camp and our first structured activity every day will be a fun cooperative and appropriate challenge like Hide and Seek Tag, Robot, Rainbow Run, Code Breaker and more! Now it’s time to hang with our peers! The second hour includes two 30-minute rotations with the campers our age. 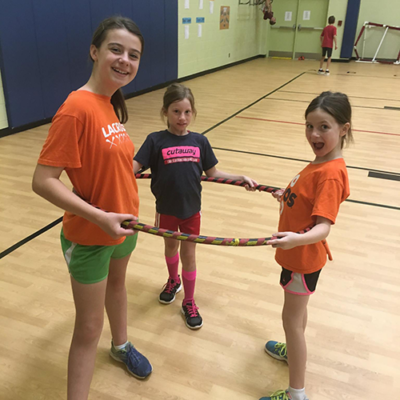 Our experienced and dynamic physical educators lead the activities include one indoors and one outside (get that vitamin D!) and include camp favorites such as Paintball, Capture the Flag, Revenge of the Bulls, Catapult and Avengers Tag! 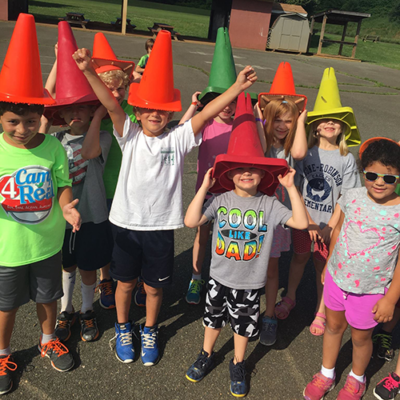 Our schedule is set up to avoid long periods of time outside in case of hot, humid weather and this rotation pattern has served us well while giving the kids plenty of transition time! SNACK TIME! Our snacks are plant-based, free of artificial ingredients, and minimally processed! 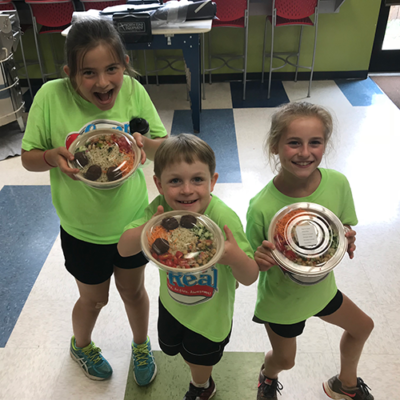 The REAL food is the signature of our camp and some of our favorite-themed snacks include smoothies/smoothie bowls, design your own trail mix, create your own healthy cereal bowl or oatmeal bowls from our partners at Juice Laundry for healthy breakfast, coconut/almond yogurt parfaits for healthy desserts, and many more! Every meal is preceded with an explanation of the day’s theme, the ingredients to choose from (at least 10 every day! ), and a brief nutritional rundown about why the snack is healthy and how it helps our body! Big kids play while the little ones eat and visa versa! This is when we step up our nutrition game! After our healthy snack we head back to the gym to learn our nutritional concept for the day! We’ve found that “playing out” our nutritional concepts are WAY MORE FUN than just getting a lecture! So when we have our daily nutritional discussion, it is interactive in many ways! For example, one of our favorite nutrition games is “Sugar Crashers” in which we talk about a few points including blood sugar levels and how large amounts of added sugar can adversely affect our bodies. But then we bring the game to life by having our “added sugars” run around and try to tag the other campers. When tagged, the kids act out a sugar rush for 3-5 seconds by running around and acting CRAZY! They then (safely) “crash” into a wall and fall down. Illustrating a sugar crash, they walk around like a zombie until a friend hands them a fruit or vegetable ball and they recover and get back into the game! We play a few rounds making various modifications that teach different concepts then wrap it up with a discussion on complex versus simple carbohydrates and why complex are better as well as various sources of each. The kids have a blast and retain the knowledge better with this novel approach! 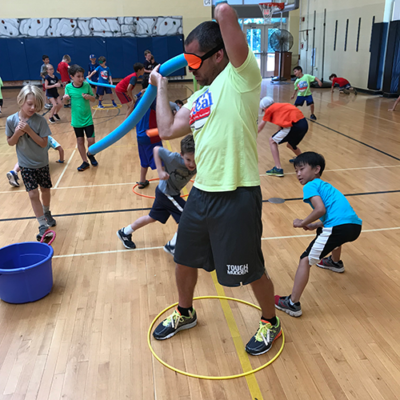 After the nutrition game, campers will spend their second 30-minute rotation outside playing their favorite invasion games, sports choice, or on especially hot days, water activities! 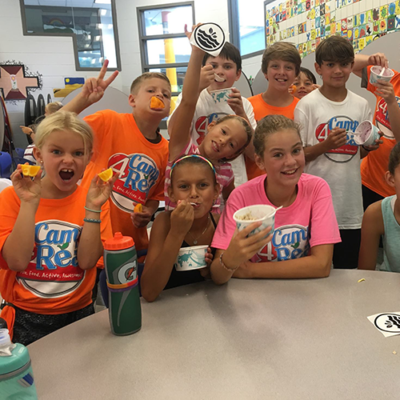 Our half-day campers wind down their day with one final Camp Buddy activity that is always sure to be a C4R all-time favorite! This games may include the GIANT parachute, Lifeguard, Samurai, Human Foosball, or our culminating activity for the entire week, the C4R MUD BATTLE! After some free time as the half-day campers are dismissed, lunch is served! Our bigger and healthier meals may include but are not limited to super hero salad bar (with over 15 healthy choices! ), noodle bowls, Mezeh catering, sunbutter quesadillas, healthy taco bar, and much more! 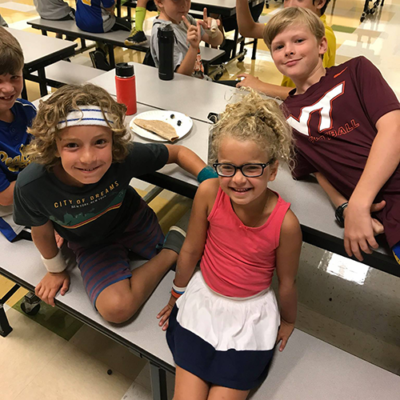 Lunch is followed by some chill time in the gym for Drop Everything and Read (DEAR), a special guest speaker, or some time outside on the playground. 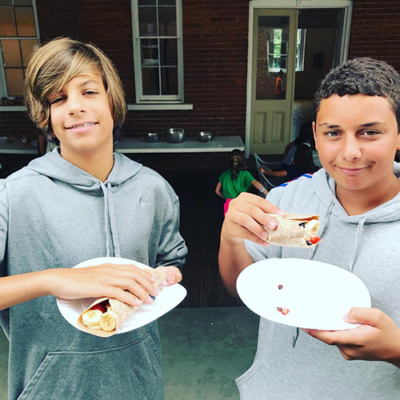 The afternoon activities allow us to offer intriguing and active events that cater to each community like Gaga tournaments (Crozet-area favorite! 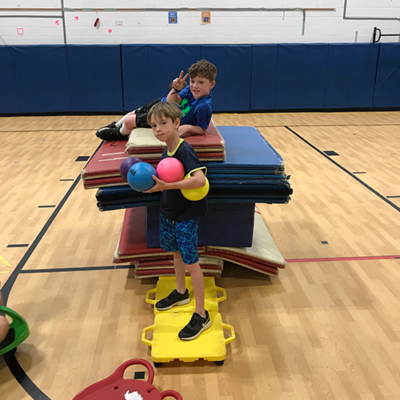 ), water activities (Stone-Robinson), Jump Rope for Heart, Volcano and Winter Olympics in Summer (Meriwether) and more! It also allows for our campers to do what they do best; CREATE! Our “Creation Station” is quite possibly the pinnacle of choice, collaboration, cooperation and communication! Our campers have amazed us with their ability to develop games, build amazing structures, assemble magnificent machines and more with random equipment! The unstructured nature provides our campers with a creative outlet that is simply priceless!